Host, James Lipton, has a very special guest for this episode of ‘Inside the Actors Studio’ today. He is a director. He is a producer. He is an actor. And he is and a man with no name... most commonly known as Clint Eastwood. Now, in fine form, Clint takes to the stage and is quizzed at great length about his humble beginnings. In turn, Clint’s tells James about how his fathers work took him and his family from place to plus, thus inadvertently imbuing in Clint a solitarily nature, plus a capability to react to change. Over time, Clint found himself – like his father before him – in job after job, until his passion for music curbed his path into a creative career that shaped his way forever more – acting. Granted, he was delayed slightly, by being enlisted into a Korean ‘police action’. Nonetheless, thanks to a friend of his, Clint enrolled himself as a contract player at Universal Studios, where he then learnt a trade whilst earning a bit of money in the process. Next, once his contract with Universal ran out, Clint managed to get work the television series ‘Rawhide’. However, during a pre-defined hiatus on this show, Clint was given a script, one that would – yet again – shape his future more so. Now the film script in question was for a Spanish / German / Italian co-production, of a Japanese remake of ‘Yojimbo’ – also know as ‘A Fist Full of Dollars’. And though Clint thought that nothing relevant would come out of this film, he was wrong. It made him a star. It gave him the clout to form a production company called ‘Malpaso’. And it also gave him a platform to develop his future wares how he saw fit. At this stage in Clint’s interview with James, Clint answers numerous questions on the other films within the ‘Dollars Trilogy’, as well as ‘High Plains Drifter’, ‘The Beguiled’, ‘Dirty Harry’, ‘Play Misty for Me’, ‘Bird’, his ‘Monkey’ films, ‘Unforgiven’, and ‘Mystic River’. 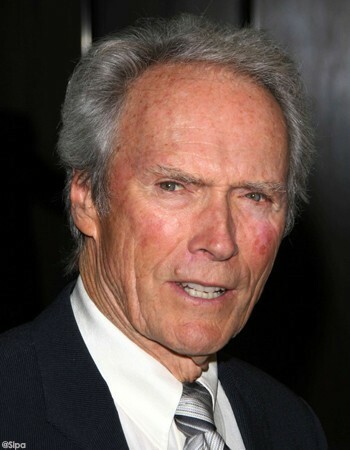 Moreover, Clint also answers questions on his accolades, his directorial techniques, his acting methods, his musical tastes, plus his catchphrases too. Still, does Clint make James’ day with his replies? Or does he just feel lucky? As Clint did, himself, during his brief stint as Mayor of Carmel. Err – a bit of both actually! That is why when James asks Clint his questions from the Bernard Pivo structured questionnaire; we find out that, Clint’s favourite curse word is ‘JAMF’, and that he would love ’52 virgins’ when he dies. Also, that he and James share the same agent, Lenny Hirshan, when Clint’s gets pitched questions by the studio audience, after. I am big James Cagney fan. My Mother brought home quite a few 'Fat's Dominoes' records, and I liked that a lot. As a kid I wanted nothing to do with acting. I learnt so much on television. Because you could screw up all day. And redeem yourself the next day. Don Siegel is the only guy I know who could prepare in one month. Do I like it. That's why I commit to make a movie. This website and me have has a very strange day today, full of positives and negatives, making me unsure if I was going to review this episode of ‘Inside the Actors Studio’ or not. Well, I wanted to be in a better frame of mind when I talk about this idol of mine, Clint Eastwood, and I do not wish for ‘external forces’ to cloud my judgement on this great man. However, when I sat down and watched this interview, strangely enough, hearing Clint talk about his life and his career, made things better for me somehow. OK, I know that this sounds a bit nuts, but it was as though by gauging the fluid nature of Clint’s career path, as well as acknowledging his way of adapting to change, things made sense to me again. OK, I know that I am not the best writer or reviewer on the Internet, but still, like Clint, as long as I try my best, and take on board whatever is happing around me, nothing else matters, right? Critiques may come and go, though Clint’s words will always be a part of my life – no matter what. I remember as a kid, how I would wave around my water pistol and shout ‘Go ahead, make my day’. I also remember that as soon as I could grow stubble, I would push my hair back and squint a lot (even if this was because I had bad vision). In addition to this, I would now – as a blogger – try to take an even stance in my wares, and adapt to change when change would arise – like Clint – like Clint – like Clint. Listen, I’m sorry for being so vague with my review on this episode of ‘Inside the Actors Studio’, but in a strange way, my ramble mirrors the tone of this show. It revealed how a man with simple leanings learnt from his humble beginnings, adapted to change, and even if he was criticized for doing something that was not ‘the in thing’, he would preserver, and make do with the best of his abilities. Now as you can imagine – I cannot praise Clint enough – he is an entertainer, he is an inspiration, and most of all, he is a man with humility. Just listening to him talk about how and why he did certain things in that relaxed manner of his, just makes me have hope for my own future. Moreover, I did like the way that this show flowed from topic to topic, as if there was a symbiotic rapport between James and Clint. Also, I did enjoy the way that Clint would burst out with a quick witted comeback to whatever was thrown at him – as if deep within him, laid a burst of sardonic flair. Overall, this interview was a great interview. And like the man himself, was honest, dulcet, free flowing, informative, and humble at its core. Viva la’Eastwood – you made my day.